The WC DART Team will be meeting Thursday March 13, 2014 at 6:30pm in the Gentry building at the James e Ward Ag Center. The Training topic is Bovine Emergency Response Planning hosted by WEMA’s Planning Director, Steve Spencer. 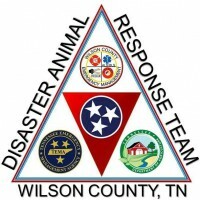 Responding to overturned trailers on the interstate, evacuation and handling of cows will be discussed, and a future handling class to apply learned techniques. All Team members are invited to attend this informative class! New volunteers welcome!